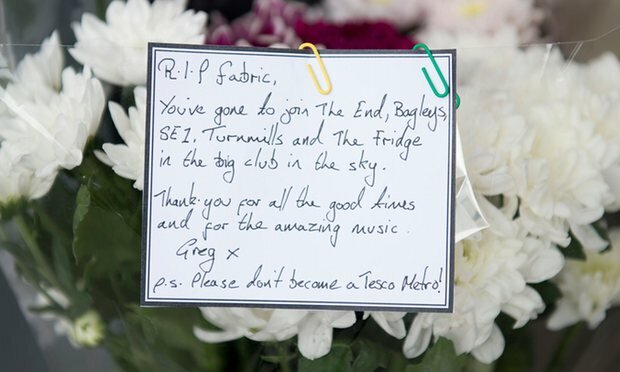 2016 has been a pretty sh*t year for most of us, but if you're a student down South FEAR NOT- because well-loved London club Fabric is set to re-open after Islington Council revoked its license back in September because of two drug-related deaths at the venue over Summer. The closure of the club in September caused outrage among clubbers and DJs including Radio 1's Annie Mac and Pete Tong - who called for the order to be overturned. 160,624 (and counting) signatures later on a petition part of a campaign called #SaveFabric, and the club's bosses have managed to come to an agreement with the council and the club will be re-opening next year, under a new strict set of rules. Physical changes including improved lightingThis campaign has been fully backed by London mayor (and legend) Sadiq Khan, as over half of London's clubs have closed over the last 8 years and "this decline has to stop if London is to retain its status as a 24-hour city with World class nightlife" he argued. The campaign has also raised over £300,000 to help pay for the club's legal costs. Throughout the campaign to save the club, there's been a lot of speculation as to whether the real reason behind its closure was so that the council could gentrify the area further by building more over-priced flats. The club revealed the news via their Facebook page this afternoon, after a last minute hearing with the council, before the appeal was due to go to court next week. "We are hugely thankful to be able to confirm the news that we have won our licence back. We owe everything to our supporters. We really would not be here today without your unparalleled support and generosity." They wrote. So many different people stepped up to put their voices to our cause, artists from all corners of the music community, fellow promoters who have put on huge events from us and clubbers from around the world who all united behind us. We’ve even seen people sporting their #SaveFabric T Shirts on the other side of this planet showing just how big this thing is." This is great news for one of Britain's most iconic clubs and just goes to show some of the amazing things the power of the Internet can do.